Rub your hands in clean hamster bedding. 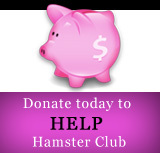 Rubbing your hands in hamster bedding can encourage a hamster to feel safe and secure in your hands while handling it. It may also get it used to your personal scent faster. Remove your hamster from its cage. Handle your hamster gently so that it will not nip or bite. If your hamster bites, calmly place the hamster down in a secure area while you tend to your wound and prepare the play area. Let your hamster use your body as a climbing item. Letting your hamster climb on you helps it become accustomed to your scent and touch. It also allows you to pet your hamster and bond with it. Introduce your hamster to a hamster ball. Hamster balls allow your hamster to roam your house freely and safely. Secure the ball's door so that your hamster can't fall out of it. Put the hamster ball on the floor and watch it explore. Set up a hamster playpen on an open, flat and clean area of your floor. Secure entry and exit ways. Decorate the inside of the hamster playpen with hamster toys like tubes, shoes, makeshift tunnels and other items for it to climb. Put your hamster in the playpen and watch it scurry and play. Hamster playpens let hamsters explore an area larger and different than their cages. 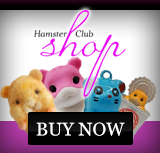 Provide your hamster with toys. Popular hamster toys are exercise wheels, play balls, tubes, hamster mazes, bridges, see-saws, tunnels, swings, and wooden, mineral and salt blocks. Toys that double as gnawing items can be beneficial for your hamster's teeth. You may also make your own toys. Give your hamster a hiding place. Many pet stores sell hamster igloos that are specially designed as places for hamsters to hide. Provide a hiding place for your hamster during playtime to help with its privacy needs or momentary fear. Place a few hamster toys in your hamster's cage while you are not actively playing with it. Giving your hamster two to three different ways to entertain itself can help mentally and physically stimulate it while it is alone. Regularly change out toys with others so that your hamster doesn't become bored. Hamsters are most receptive to playtime during night hours. Do not put all of a hamster's toys into its cage at once. Your hamster needs as much room to move in its cage as you can provide. Always supervise your hamster while in a hamster ball. Do not leave your hamster in the hamster ball for more than 15 minutes; doing so could lead to dehydration or accidents. Pay attention to your hamster's needs and desires. Don't try to force your hamster to play with you. 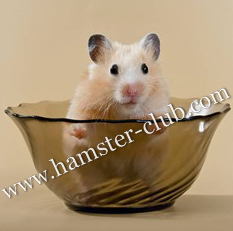 Play with your hamster only when other animals and pets are securely locked away from access to it.